Why Do You Need To Promote Promotional Products For Your Business? | AdsWiki - Ad Network Listing, Reviews, Payment Proof & Advertising News. Home Articles Why Do You Need To Promote Promotional Products For Your Business? The old saying, “out of sight is out of mind” is true, when the things come for creating customer relation. As every brand needs a recognization in the eyes of customers for growing and maintaining its business. In this regard, let’s think about a situation when you visit a supermarket and you have to choose between the two products. The first is about whom you are familiar and using from a long time but a costly, whereas, the second is economical but new to the market. Normally, people buy the first product. Because, they are familiar with the brand for a long time and have trust, whereas cost component is irrelevant to them. Even in a Global Survey, more than 60% people found acquiring familiar product in the first instance. Although there are many ways in the market to promote your product, the use of promotional products are highly appreciated by users and companies. These are considered the least expensive form of advertisement than television, magazines, and offering branded products for free. So, in this regards, companies prefer to offer useful branded products like pen drives, pen stands, keyrings, shopping bags, relevant information bearing dairies etc. These products bear the company’s logo, contact information for the long-lasting impact on the user’s mind. Those days are gone when people use business cards for your brand promotion. Because in a survey, there are hardly 5% of people found keeping those cards for future reference and rest either throw it or forget to place them safe. So, promotional products work as a great tool to solve user’s issue. Moreover, handing out these useful products to customers have the potential to help them on a daily basis and keep your brand image on top of mind. 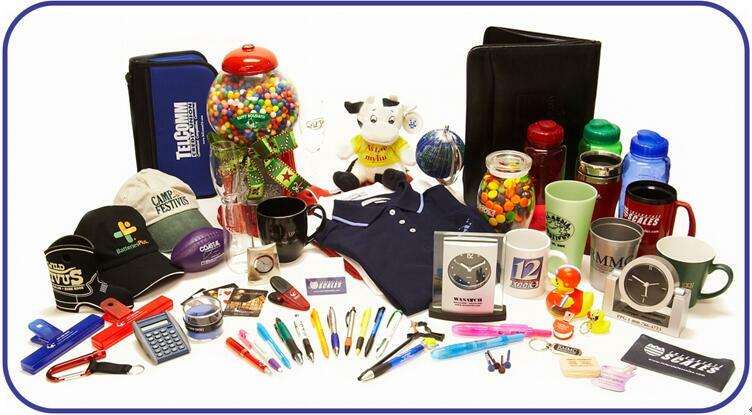 Promotional products act as an effective tool to keep your company’s image in front of public eyes. Many business owners, in order to promote their business to invest in attractive business cards, fliers, and brochures, but, they all can quickly slip from customer’s hand and your business, too become out of sight. Whereas promotional products have more staying power, as they bear your logo, message, slogan, and contact information. This information pop-up your brand into customers mind and sooner or later they need your services, they will call you. So, in order to promote your business, you can use caps, jackets, bags (like tote bags, cooler bags, shopping bags, backpacks etc.). Like the saying, money makes money, promotional products tend to deliver a higher return than the expensive advertisements. Therefore, while making a strategy that your product needs to reach a wider range of people, but they all will never give you a business. Here, your sole motive is to promote your product to capture large audience attention. So, with promotional products Sydney you can capture a large audience with nominal cost. Upon total products, if 20% of people come to your doorstep for business, means you will a reasonable return of your investments. As we all know the importance of promotional items but which product to choose is the most critical decision, because, your product choice will affect your brand image. Therefore, while choosing a product, think about the target audience first. Like if your whether your company produces the product is for, Urban population or for rural? Male or female? Age group? The profession of users? Etc. Get the answer to these questions and then choose your product. But, do not forget to add your company logo on the the promotional product. Additionally, try to give away a useful and good-quality durable item. Hope, the above-mentioned points help you for knowing why you need to promote promotional products for your business. Additionally, we also know that the use of promotional products is found highly appreciated in every culture. Psychologists studied that mankind in every part of the world highly appreciates the gifts, no matter how small. Ethan Lee is an entrepreneur and marketing specialist at Logpro which is one of the best supplier of corporate gifts & promotional products. He is a part of team for developing new marketing solutions for business clients. When he finds a time for writing, he loves to share his experiences about creativity, teamwork and related business topics.